The reason for publishing being a key industry to take advantage of text analytics is also the reason why the industry finds it so hard to engage with the technology. The reason? Text. And a lot of it. The publishing world has struggled to understand how data relates to text and understand the value of data. This is changing, too slow for many, as the industry moves from seeing themselves as a ‘product’ based company (e.g. 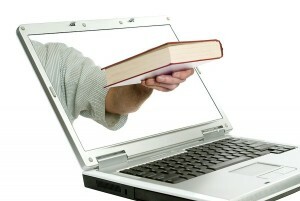 making books, e-books or physical) to a ‘service’ based company. In other words smart publishers are starting to see their service to customers as the creator and curator of information. 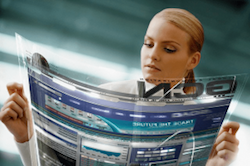 This content is abled to be mixed and mashed-up in dynamic ways across a number of formats. This service is not bound, saddle-stitch or otherwise, to a specific product. This 180-degree perspective change requires publishers to think more directly about customer experience in the same way more traditional service based industries like hospitality or even retail banking. The LT-Innovate 2014 Conference has just been held in Brussels. LT-Innovate is a forum and association of European companies in the sector of language technologies. To get an idea of the meaning and the importance of this market, suffice it to say that in Europe some 450 companies (mainly innovative SMEs) are part of it, and are responsible for 0.12% of European GDP. Daedalus is one of the fifteen European companies (and the only one from Spain) formally members of LT-Innovate Ltd. since its formation as an association, with headquarters in the United Kingdom, in 2012. In this 2014 edition, the document “LT-Innovate Innovation Manifesto:” Unleashing the Promise of the Language Technology Industry for a Language-Neutral Digital Single Market” has been published. I had the honor of being part of the round table which opened the conference. The main subject of my speech was the qualitative change experienced in recent times by the role of our technologies in the markets in which we operate. For years we have been incorporating our systems to solve in very limited areas the specific problems of our more or less visionary or innovative customers. This situation has already changed completely: language technologies now play a central role in a growing number of businesses. In a recent post, I referred to this same issue with regard to the media sector. If before we would incorporate a solution to automate the annotation of file contents, now we deploy solutions that affect most aspects of the publishing business: we tag semantically pieces of news to improve the search experience on any channel (web, mobile, tablets), to recommend related content or additional one according to the interest profile of a specific reader, to facilitate findability and indexing by search engines (SEO, Search Engine Optimization), to place advertising related to the news context or the reader’s intention, to help monetize content in new forms, etc.